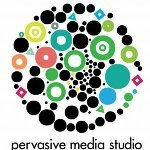 In April this year I began a dream job at Watershed as Producer on Creative Producers International, a programme designed to enable fifteen Producers from across the world to work towards changes they want to see in their cities and to build a network of practitioners who could share knowledge and experience. Seven of the cohort were nominated by our producing partners and the remaining eight recruited through an open call. We received a huge 544 applications, which validated our belief in the value of a programme that made the producer the focal point. After a challenging selection and interview process, we identified the fifteen remarkable people we would be working with over the next two and a half years. You can read about each of the Creative Producers and our producing partners here. 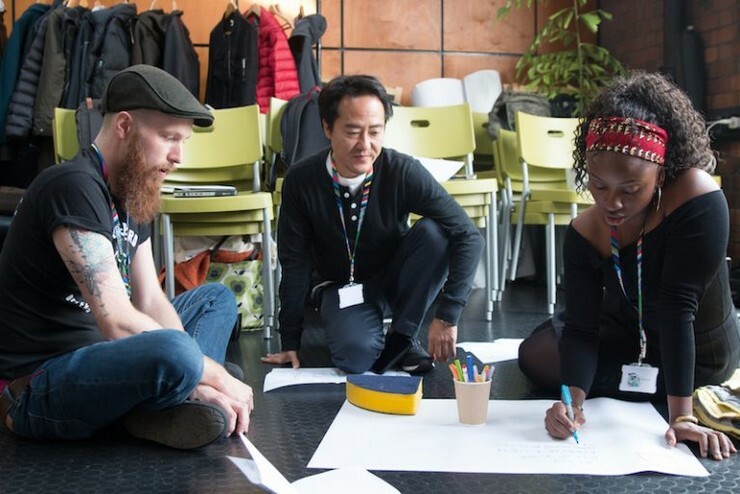 The first event of our Creative Producers International calendar was a three week residential lab to be held at Watershed’s Pervasive Media Studio which would bring the group together for the first time. We needed to lay the foundations for the work the producers would be involved in, share the values and practice of Watershed and our peers and begin nurturing a network of practitioners who would support, challenge and encourage each other throughout our extended time together (and hopefully beyond). We carefully crafted a programme that we felt would achieve all these things, but with a group of fifteen very different people coming together for such a long period of time there were still many unknowns; would a group with such varied and extensive experience find what we had planned valuable? Would they bond as a group and want to support each other and collaborate as the programme went on? Would a group of producers, used to taking charge in their field, trust us to lead them on this journey? Would the vast cultural differences between them present difficulties in communication? And, on a personal level, coming from a background of factual television and being relatively new to this world of art and culture which I now call home, could I help lead a group of people far more versed in that world than I? On 2 October this year the Creative Producers arrived at the studio; our questions were soon answered. One of the most fascinating things about this cohort is the huge variety of cultural backgrounds and contexts in which they work, something we were given a glimpse into during the first week of the lab when the Creative Producers each gave a presentation about themselves and their cities. These moments revealed complex differences, but also surprising similarities between communities that on the surface seemed completely unconnected. Many identified similar challenges creating work in public space, from Liverpool through to Lagos, to the streets of London (more Somerset House’s Karishma here); in these very different communities the Producers spoke of the need for cultural activism and the value of leading by doing. There was also a shared desire to reach out to marginalised communities that had little access to the cultural life of their city. 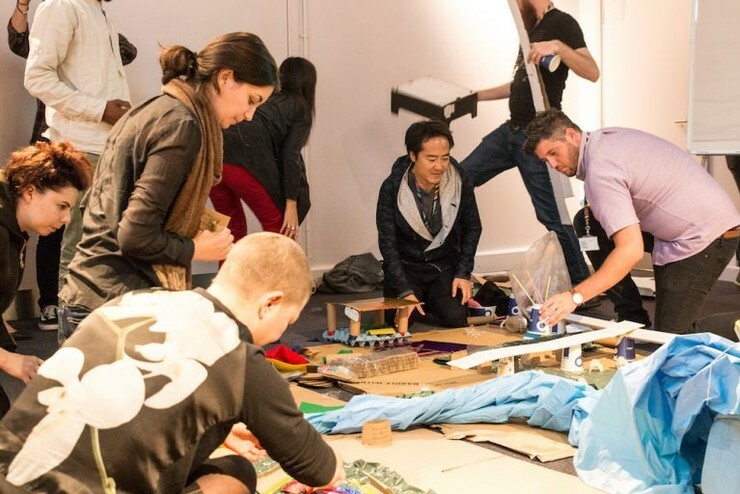 There were unanimous positive responses to Claire Doherty’s talk on the challenges and opportunities of public space and art as disruption and Hilary O’Shaughnessy’s Map Making workshop, which encouraged the group to think differently about their surroundings and to view the world through other perspectives. After both sessions there was a sense that the group were itching to explore the value of these lessons back home. Other common threads involved the dynamics of privilege (whether in nationality, race, gender or between employed and freelancers) and shared concerns around postcolonialism and navigating the legacy of history. The latter led to Edson Burton joining the group to lead a provocative discussion around the challenges of acknowledging the past whilst striving towards a more inclusive view of the future. Some experiences shared were very individual; Anel from Almaty told her personal story of reinventing identity in post-Soviet Kazakhstan and in a poignant moment Russel from Durban shared that he struggled to relate to the issues faced by many of the group, as they simply had no bearing on his life as a black male living in postcolonial South Africa (more from Anel here and Russel here). It is testament to the individuals in the room and the atmosphere of acceptance and trust created in the lab that such differences were not problematic, but a unique opportunity to learn and widen perspectives. Read the full blog on Watershed's website here. 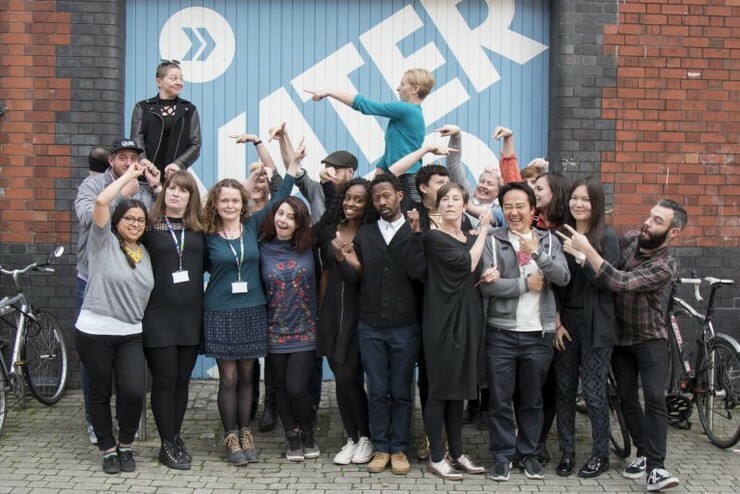 We are thrilled to announce the fifteen incredibly talented people who will be joining us on Watershed’s new global talent development programme Creative Producers International. We are thrilled to be part of Creative Producers International, a global talent and leadership development programme. If you are working as a creative producer and want to be part of a global network of changemakers apply now.